recollections of active plants for cancer research. 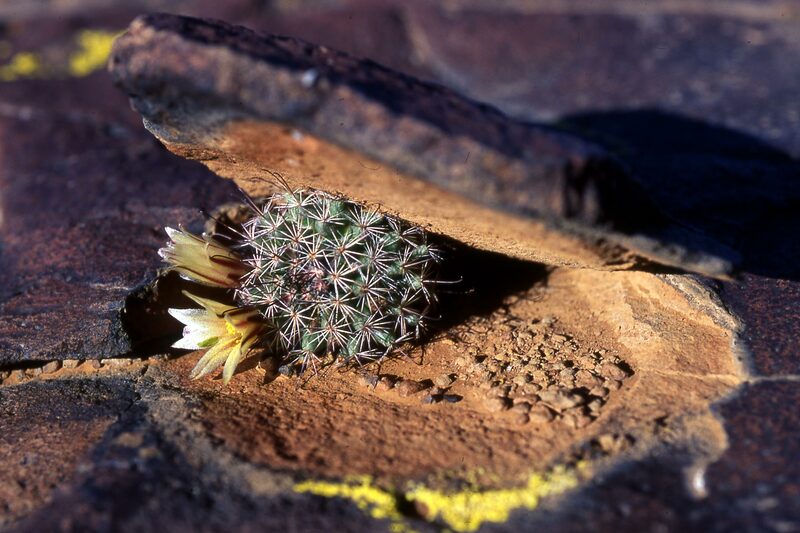 as the cactus continues to grow inside the rock. 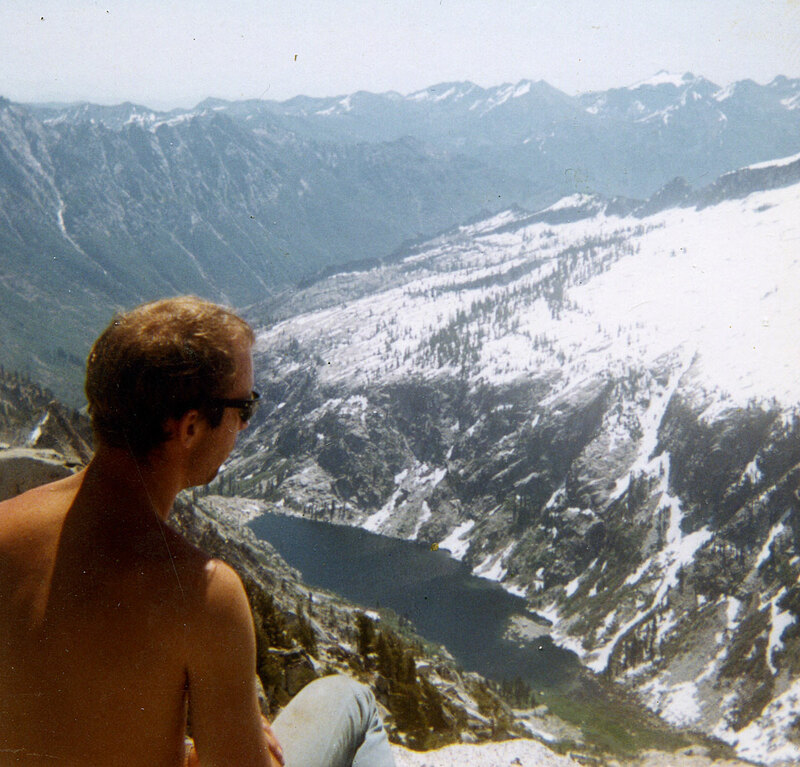 in the Trinity Alps. (4 & 5) Grizzly Falls at Grizzly Lake. (6) Grizzly Creek. Photos and procurement data on samples collected for antitumor activity are linked to WBA web pages and/or to WBA files in Adobe Acrobat format by the genus and species names that are highlighted in the table that follows. The State locality where each species was collected or photographed is also indicated. This is abbreviated by standard two letter codes for the US and by three letters for Mexico (e.g., BCN for Baja California Norte and BCS for Baja California Sur). Where more than one species is listed for a genus, the genus name is usually highlighted for the first listing only. An asterisk (*) denotes additional botanical and pharmacological procurement information on antitumor active plants as determined by the National Cancer Institute (NCI) prior to 1982. These are scans in Adobe Acrobat format of historical documents and publications. If only the species name (epithet only) is highlighted, then there are no photographs (at this time). If the species epithet is not highlighted, then the link to the procurement data will be found on the photo page where the species name or other descriptive phrase is highlighted. The historical documents mention phone calls and correspondence on procurement activities by the USDA Agricultural Research Service (ARS) under a cooperative agreement with the NCI for recollections of "active plants", or for Plants of Special Interest ("POSI"). This information was recorded during 1960–1982. Initially, small (general) samples of plants were obtained in quantities of ~500 g (1960–1976), or 1.5–2.0 kg (1977–1981). Plants that showed antitumor activity were considered active for which larger samples (recollections) were obtained, initially 20–25 kg (1960–1971), later ~50 kg (1972-1975), and up to 230 kg (1976–1982, high priority recollections). Active agents that were scheduled for clinical studies required much larger quantities or massive samples, usually a minimum of 500 kg. The recollections were supplied to chemists at NCI contract universities or organizations for the isolation of the antitumor active chemical agent(s). Their isolation work was guided by the NCI bioassay results on fractionation of extracts. The USDA laboratory that procured plant samples for the NCI was located in Beltsville MD. Initially it was an investigative unit of the New Crops Research Branch; then in 1972 it became the Medicinal Plant Resources Laboratory (MPRL), and in 1979 the lab name was changed to Economic Botany Laboratory (EBL). The people involved were mostly the same, while the name changes reflect management re-organizations. During this time, the NCI had screened extracts from ~35,000 species of plants; about 10% had shown antitumor activity or cytotoxicity in one or more bioassays. A number of other institutions had also independently supplied plants or extracts of plants to the NCI program for preliminary screening such as the CSIRO (Australia), Central Drug Research Institute (India) National Defense Medical Center (Taiwan), University of Arizona, University of Concepcion (Chile), University of Costa Rica, University of Brazil (Rio de Janeiro) and the University of Hawaii (Spjut 1985). Nevertheless the ARS lab was by far the major supplier of samples. The ARS lab obtained plant samples from many areas in the world that included long term contracts with individuals or institutions in Panama, Brazil, Peru, East Africa, South Africa, Ghana, Turkey, Pakistan, India, Sri Lanka, Thailand, Taiwan, Fiji, New Zealand, and shorter term explorations or contracts from other areas in Mexico, Puerto Rico, Venezuela, Bolivia, Ecuador, Colombia, Egypt, Israel, Madagascar, Papua New Guinea, and Queensland (see list of plant collectors below). The loss of NCI funding in Oct. 1982 for the antitumor screening of natural products required them to terminate their agreement with the ARS, an agreement that had been renewed yearly for 22 years. Consequently, many files related to the procurement activities of the USDA ARS lab were discarded in Nov. 1982, the most important of which was the voucher-reference samples for each recollection and original sample of each species that showed antitumor activity. The reference samples, however, for bryophytes and lichens were removed as they were being tossed out, and were later found useful as documentation for voucher specimens in Spjut et al. (1986). Some archival records on the USDA ARS procurement of active plants are deposited in the National Agricultural Library (NAL) in Beltsville, Maryland; see ARS Memorandum (1991) by Richard Spjut to Allan Fusonie. This memo also explains the abbreviations for most collectors. An example of how these codes apply is shown under Veratrum. Other historical information was scanned from Abbott et al. (1966, see below) and from a program guide prepared during 1967–1971 by a research leader, Robert E. Perdue, Jr. Scanned images of historical papers that seem most relevant to the USDA ARS procurement program are also cited below; these are in Adobe Acrobat format. The program guide (Perdue 1967–1971) provides many details on the intricacies of the complex filing and codes systems and the overall philosophy of the former ARS plant procurement program for the NCI. This document was scanned from a carbon copy of the guide. Updates to this undoubtedly were made by Perdue during 1971–1978, but no effort has been made to locate the original or update files, while it may be noted that Perdue (pers. comm., Dec 2001) indicated he had sent slides and other materials to the NAL. The complexity of the filing system is due to the concern for confidentiality of the data at the time, and the changes in procurement policies that occurred as the NCI-ARS screening program itself evolved. When James Duke became leader of the Medicinal Plant Resources Laboratory in May 1978 (to Oct. 1982), he integrated the cancer files on the POSI (Plants of Special Interest) and FOSI (Families of Special Interest) with his files on Economic Botany. Some files, or materials extracted from such files, probably went with Duke in the 1982 reorganization. Another major record developed by the USDA ARS procurement lab was the assignment of PR numbers (accession records) to plant samples. Each plant sample shipped by the Beltsville lab was assigned a PR-number to account for the genus, species, authority, plant part, weight of the sample, State or Country where the collection was made, and date of collection. The samples were sequentially numbered, 1-~58,000 for general samples and recollections, and from 80,000–~83,000 for samples of plants regarded of special interest (POSI) or families of special interest (FOSI). Examples of accession records are provided in pdf format under references for bryophytes collected for antitumor screening (see under USDA). Data were prepared in a typed format with the intent to be later computerized, generally up to 10 accession numbers per page that were then filed in a three-ring binder, up to 1,000 numbers in a binder. A complete record of this file, consisting of ~58 three-ring binders, had been maintained until Oct. 1982. The disposition of this file and other relevant records are unknown. Other records, which were kept by Richard Spjut concerning his work for the ARS program (1972–1982), are provided below (North America) and under the page on African plants. These include memoranda and summaries on antitumor active species regarding their botanical characteristics, geographical distribution, ecology, abundance, antitumor activity in related species, and recollection data on plant parts, quantity, date and locality where collected. Botanical write-ups were routinely prepared to determine where it was most economical to obtain recollections. Most summaries were prepared for species in East Africa where yearly field work was undertaken by the ARS botanists. Other memoranda are occasionally cited such as a nomenclatural review of the scientific name for the apple (under Malus), or germplasm summary distribution maps for crops such as Ribes. Additionally, abstracts on recent pharmacological investigations are provided, especially on species related to the anticancer screening of plants. The NCI reorganized their natural products program in 1986. They have since obtained thousands of plant samples from mostly tropical areas. Instead of the USDA Agricultural Research Service, the major suppliers of plant samples are the New York Botanical Garden (tropical America), the Missouri Botanical Garden (tropical Africa and Madagascar), and the University of Illinois at Chicago (tropical Southeast Asia). Although emphasis had been on samples from tropical areas, collections were subsequently obtained from the United States by the Morris Arboretum during 1996–2000 and by the WBA during 2001–2004. The WBA contract with the NIH/NCI required the WBA to procure 1,000 samples each year for up to five years from the US and territories. This contract was prematurely terminated in 2004 because of NCI budget cuts; however, in September 2007, the NCI again resumed its procurement activities for plant samples from the United States and foreign areas. Due to requests received from government agencies for electronic copies of accomplishment reports, in addition to the hard-copy that was submitted as required by collecting permits, it was decided to include recent accomplishment reports in the archival data listings below. As time permits, images of voucher specimens are added. These are scanned at 300 dpi, slides at 600 dpi, and digital photos are shown at high resolution. Although all photos were optimized for the web, they are not necessarily reduced in size for speed; it was decided that high-speed internet will be the standard with large-screen monitors; thus, if you are using a dial-up service, the photos will load slowly. The objective here is to allow photos to be magnified to see details often required for taxonomic identification. This page and its links are still evolving. There are thousands of records on active plants and slides that have yet to be scanned. These are added on occasion; however, if funding can be found for this project, it will be accelerated. Unless otherwise indicated, photos were taken by Richard Spjut. This was usually done to document collection data on voucher specimens in regard to samples collected for the National Cancer Institute's Antitumor Screening Program. Occasionally, plants are photographed without taking specimens. Photos are copyrighted material. They may be used for educational purposes with acknowledgment of the source, R. Spjut. Most vouchers scans were done by Sally Larsen. Vouchers may be found at the U.S. National Arboretum (NA) for collections prior to 1982, the University of Wisconsin at Oshkosh (OSH) for collections from 1981 to 1996, and in the U. S. National Herbarium (US) for collections from Baja California (Mexico, 1979–1996) and mainland U.S., 1998 to present. Duplicates may be found at the Botanical Research Institute of Texas (BRIT), East African Herbarium in Nairobi, Royal Botanical Gardens at Kew (K), Missouri Botanical Garden (MO), Universidad Autónoma de Baja California Herbario (BCMEX), Humboldt State University (HSC), World Botanical Associates Herbarium (WBA), and other institutions in accordance with permit requirements. Abbott, B., J. Leiter, J. L. Hartwell, M. E. Caldwell, J. L. Beal, R. E. Perdue, Jr., and S. A. Schepartz. 1966. Cancer Chemotherapy Screening Data XXXIV. Plant Extracts (Entry Nos. 72533–73580). Cancer Research Vol. 26, No. 7: 761–935 (pp. 761–768 reproduced here). CPAM (Confirmed Plant and Animal Materials). 1977. A.
Hartwell, J. 1976. Types of Anticancer Agents Isolated from Plants. Cancer Treatment Reports Vol. 60, No. 8: 1031-1067. August 1976. Perdue, R. E., Jr. and J. L. Hartwell. 1969. The Search for Plant Sources of Anticancer Drugs. Morris Arboretum Bulletin Vol. 20, No. 5: 35–53. Spjut, R. W. 1985. Limitation of a Random Screen: Search for New Anticancer Drugs in Higher Plants. Economic Botany 39(3): 266–288. Spjut, R. W., M. Suffness, G. M. Cragg, and D. H. Norris 1986. Mosses, hornworts and liverworts screened for antitumor activity. Econ. Bot. 40: 310-338. Spjut, R. W. 2005. Relationships Between Plant Folklore and Antitumor Activity: An Historical Review. Sida 21(4): 2205–2241. For unpublished reports cited in this paper, see also studies on Medicinal and Poisonous Plants. Spjut, R. W. 2010. Review of plants collected for antitumor screening. Minor additions and editing, May 31, 2010. Placed on the WBA webpage May 31, 2010. Printed copies provided by mail in early January to ~30 scientists at the BLM, NCI, USDA Forest Service, and chemists at universities that have been active in drug discovery groups for finding novel antitumor, chemopreventive, and anti-HIV agents in natural products. 1971. Sep 22. Minutes of the Plant Meeting. Sydney Richman to DP & CSDA, PRA, DR&D, C, NCI, with cc to Abbot, Hartwell, Mancher, Murray, Schpartz and Wood. 1978. Oct. 12. Recollections of KB Actives. Matthew Suffness to Arthur S. Barclay, with cc to M. Hatcher and J. Douros. 1979 Feb. 14, Matthew Suffness to James Duke. Printout of genera screened. 1 p.
1979 Mar. 13, Matthew Suffness to James Duke. GESOC—further clarification of purpose. 2 pp. 1979 June 19, Matthew Suffness to Arthur S. Barclay. Combined GESOC and 6-Plus List—Your Memo of April 27, 1979. 1 p.
1978 Oct. 23, Richard Spjut to Arthur S. Barclay. Fresh and Dry Weight Data on Samples Collected in Maryland, Virginia, North Carolina and Tennessee, 1978. 4 p.
1978 Oct. 24, Richard Spjut to Arthur S. Barclay. Plants Used Against Cancer: Sonoran Desert and Temperate North American Genera With Less Than Six Collections Tested. 3 p.
1978 Oct. 31, Richard Spjut to Arthur S. Barclay. Selected Medicinal Plants for Field Work, 1978-79. 4 p.
1979. Oct. 5. Costs for Recent Field Work to Collect General Samples and Recollections. R. W. Spjut to Arthur S. Barclay. 2 p.
1979. Oct. Annual Report, October 1, 1978 – September 30, 1979. Economic Botany Laboratory, Plant Genetics and Germplasm Institute, Science and Education Administration, United States Department of Agriculture, Beltsville, Maryland 20705. 8 pp. 1980. Jan. 17. California Annual to Perennial Genera Not Tested In the Cancer Program. Excludes Grasses and Woody Plants, Richard Spjut to POSI. 1 p.
1980 Feb. 14. [USDA ARS] List of Plant Species Confirmed Active, Screened 6 or More Times and GESOC. Revised Feb. 14, 1980. 33 p. Referred to as SLOP for Species Low On Priority by Spjut in Economic Botany (1985) and also cited by Spjut in Sida (2005). GESOC is an acronym for Genera Extensively Screened Or Completed. 1981 Apr 15-May 30. 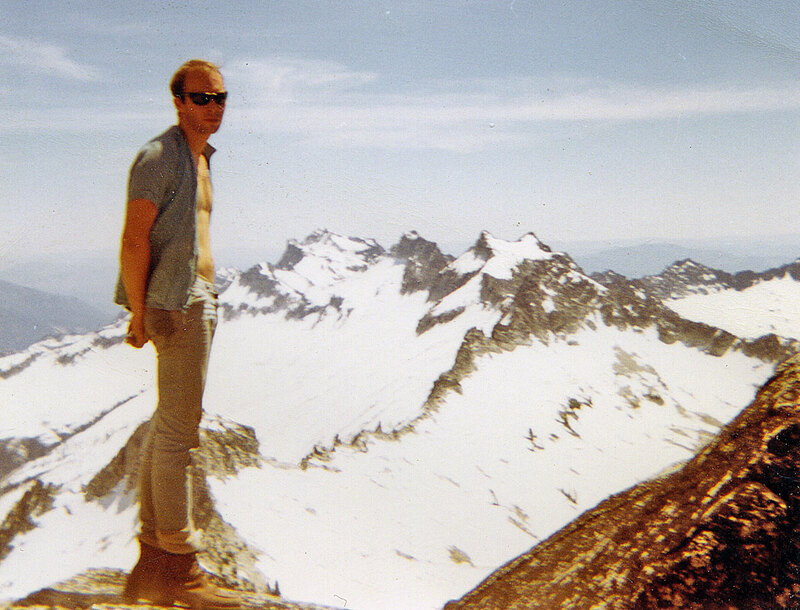 Travel Report by Richard Spjut: Texas, Nevada, California, and Oregon. Copies to James Duke, Paul Putnam, and Allan Stoner. 12 p.
1981 Aug. [USDA ARS] Accomplishment Report. Procurement of Plant Samples from Mexico & U. S. for Antitumor Screening. Prepared by Richard Spjut in regard to requirements for plant collecting permit from Mexico. 17 p.
Perdue, R. W. 1967-1970. Program Guide for the Cancer Program. 61 p. Excludes information on general and foreign correspondence, purchase order procedures, and other record keeping procedures. [USDA ARS] List of Plant Collectors and their addresses who collected samples for the National Cancer Institute (NCI), 1960–1982. List of Plant contractors and remaining funds—Dec 3, 1981 (Compiled by Mae Hatcher). 2p. 1985 Sep. 27. USDA ARS Plant Explorers and Their Explorations, 1898–1982. Compiled by Richard Spjut, printout. 42 p.
East African Plant Collectors, by Diana and Roger Polhill. 2015. Royal Botanic Gardens, Kew, Richmond, Surrey. 520 pp. “A record of some 2,700 people who have collected herbarium specimens in Uganda, Kenya and Tanzania, designed as a supplement to the Flora of Tropical East Africa. The profiles give an indication of careers and interest, the places where the plants have been collected and herbaria in which the specimens are located.” Biographical summaries accompanied by photos for most collectors. Beautifully done. “A timeline and a synopsis...of professions and the changes through the eras since the first recorded herbarium specimens collected in 1781.” Example: Richard Spjut.